Good afternoon and greetings frrrrooommmm Latvia! 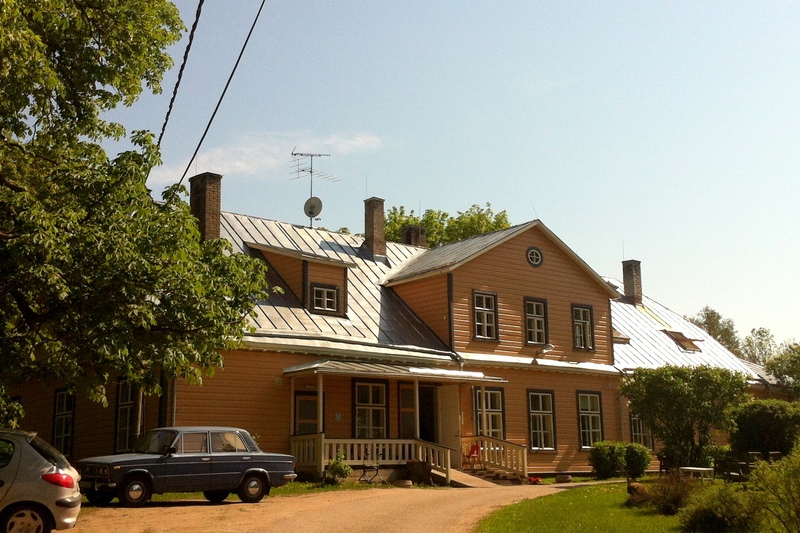 Some lines about my encounters in Finland and Estonia – though possibly the best part of Estonia, my stay in Kilingi Nomme, I have yet to put in another blog. Also, some of the pictures (mainly from Jens) are still on my big camera, in my car, in a different part of Riga where I am writing today. Finland had been an short but nice stay. 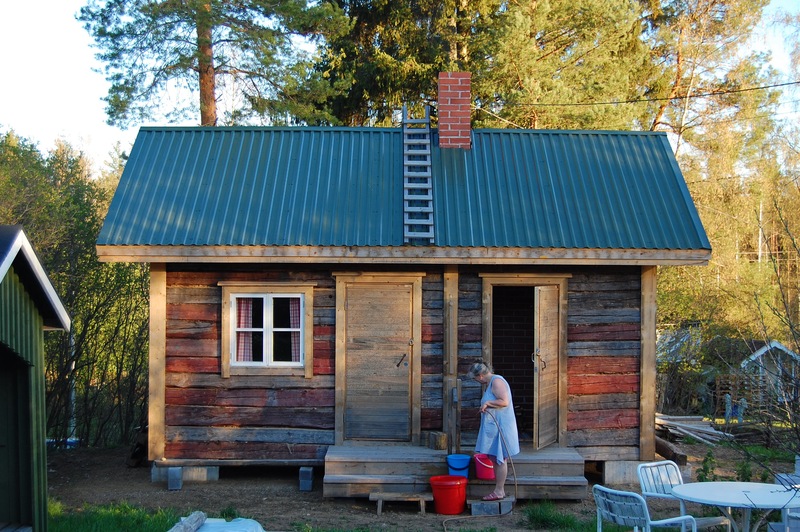 I loved the weekend at Marja’s summer house (->last post), walking, talking and taking a Real Finnish Sauna. On top of that, I had the pleasure of meeting her old mother who asked me to put curlers in her hair to look beautiful the next day at the activity care. Also the city of Tampere, the glass factory in IIttala, the enchanting scenery of the hilly south and the pleasant hospitality of my friend Miia and her flatmates made my stay worth remembering. 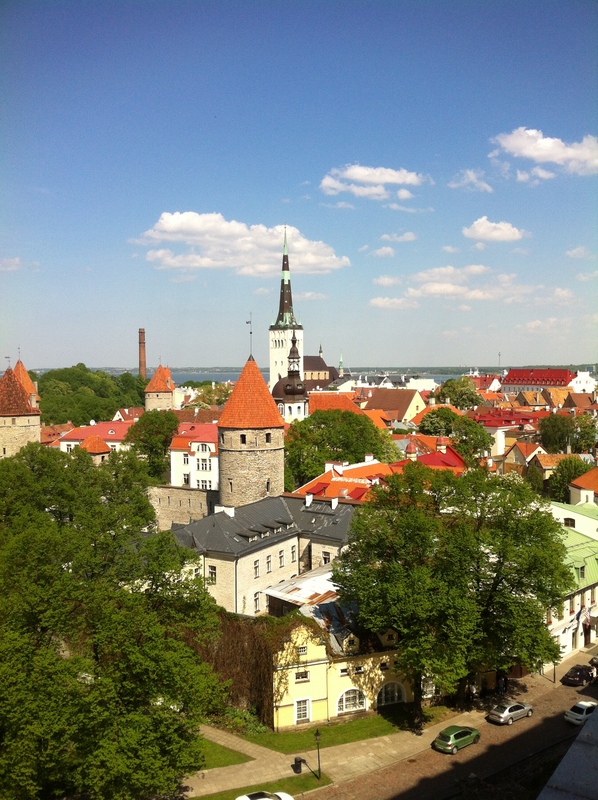 I arrived in Estonia, Tallinn to be more exact, in the early evening on the 22nd of May, after a beautiful boat trip – eight hours shorter then the Stockhom-Turku line and free of the frightful army of drunken teenagers. I spent the day in Tallinn, strolling through the medieval streets where I bought some drawing material so I was more prepared to start talking to strangers. I met up with Marie, a young brave violinist and world cyclist from Tallinn, who was a bit sceptic about my ideas of talking to any strange Estonians (“Estonians are, well, quite afraid of people”). So we used my new pencils to draw our own ideas about growing older while listening to the medieval performance of her colleagues. On Saturday I took the car -unfortunately not my debit card- to a place called Padise. Only two characters away from Paradise, I was welcomed by a mixture of Russian and Estonian hospitality, consisting of many many sausages and some warm home made socks. And more sauna, of course, this time accompanied by some Lithuanian mud and a bunch of cosy mosquitos. On Sunday I drove South. 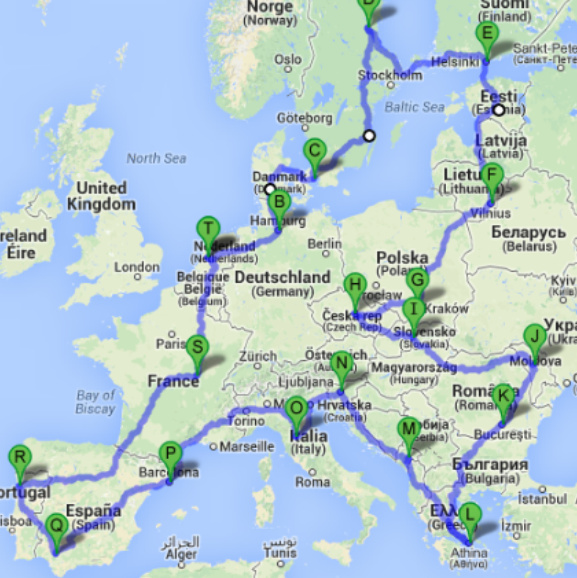 Well, from now on, I will mainly drive South until I hit Greece in… August? After some time of seeing nothing but unspoiled nature, I suddenly passed this sign. There’s no smoke without a fire, so I turned right just to find a well hidden, beautiful old house with quite a lot of old and/or disabled people sitting on the veranda. After some time of enjoying our mutual communication difficulties, one of the fairly moving veranda sitters went inside to dig up Jens from Hamburg. Jens was 64 year old and the only German speaking inhabitant of the house. Why a 64 year old Hamburger, who never lived in Estonia nor doesn’t speak Estonian is spending his days in a state owned elderly home in the middle of Estonia: only god knows. I think I was his first visitor in the home ever (“Mein Sohn und ich, wir leben auf unterschiedligen Wegen”) and sitting on that veranda we had a nice, sometimes a little confusing but warm conversation. The birds (“Meine gute Schwalbenfreunde”) were chirping while Jens told me about his life, how he traveled the world as a sailor and about his passion: collecting music records. He also told about how he lost everything, including his music, the connection with his son – and my guess, probably some clarity- when his wife died in 2000. How he was happy to be in such a calm and peaceful place in Estonia, although sometimes maybe a bit too silent. Jens showed me the house, an old place, with quite some people laying in their beds. Smelling, of course, of old life in an old building. Smiling and running nurses and well made tables with bread and milk, I could somehow understand that Jens didn’t mind spending his days in there. After all, it brings the certainty of a daily bread and a warm bed. With a smile on our faces, we said goodbye and with the promise of trying to send him a picture of himself with his friend Raúl, I left the premises. On my way to Kilingi Nomme, a small town in the South of Estonia and part of the Cultural Villages of Europe project. One thing I knew for sure: there were some extraordinary women waiting for my arrival. More about the Cultural Villages, Bert Kisjes, the two extraordinary women, Kilingi and Estonian hospitality in my next blog! “When older people start to lose some of their memory, they often get the feeling they want to go ‘back home’. You can see them sitting at a bus stop, waiting for a bus to bring them to that unknown but familiar place. Today I decided I want to ask for your help. I really hope you’re in. What’s the matter? I’ve travelled through 2,5 of the more or less 25 countries I plan to visit. I’ve had a few really nice conversations about ageing. I met some great people. I’m having a great time, really. But I’m not satisfied yet. I’m especially not satisfied with my own guts: I want to talk to people on the street but I don’t. Or I don’t know how. 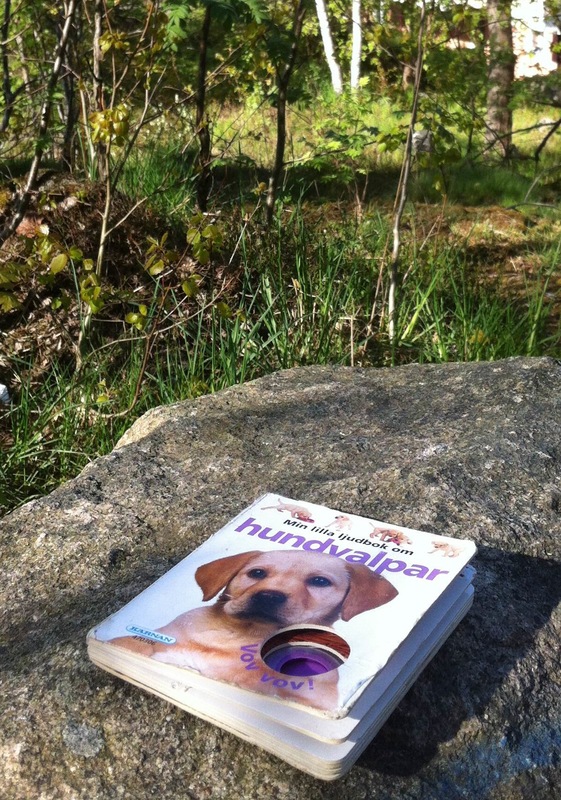 Today I spent some time strolling through suburban Stockholm, known as Solna. Solna has some large parks, is home to the new Swedish national football arena and to the academic hospital Karolinska Institutet. It was a beautiful day and there were loads of people on the streets. Many young dads and moms pushing double prams, some students, quite a lot of drunk citizens too, and then, of course, a whole bunch of elderly. When I was walking the streets and parks, musing on how nice it would be if I would talk to people instead of just walking on my own, I thought of Janne. 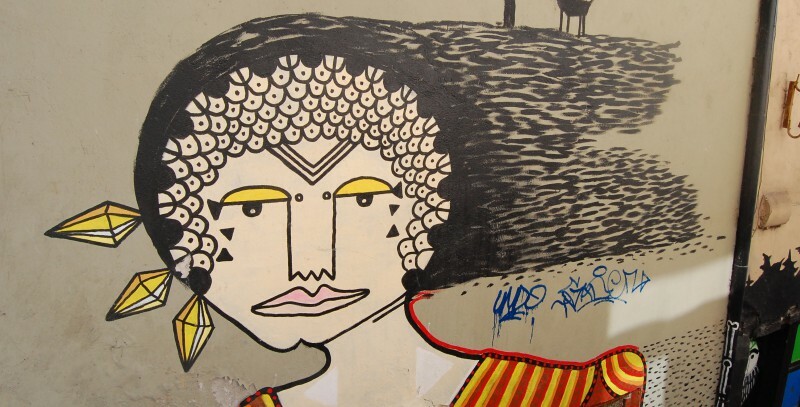 Janne travels the world to seize beautiful moments and she is the uncrowned queen of street conversations. She asks people in trains, ons squares, in bars, in fact anywhere, if they want to share their most beautiful moment of that week by drawing it. Simple as that! And very powerful. Now, I could simply start doing what Janne does. But even though I’d love to see peoples most beautiful moment of that week, it is not really what I am looking for. I am interested in knowing what people think about ageing. I want to know how they see their future. 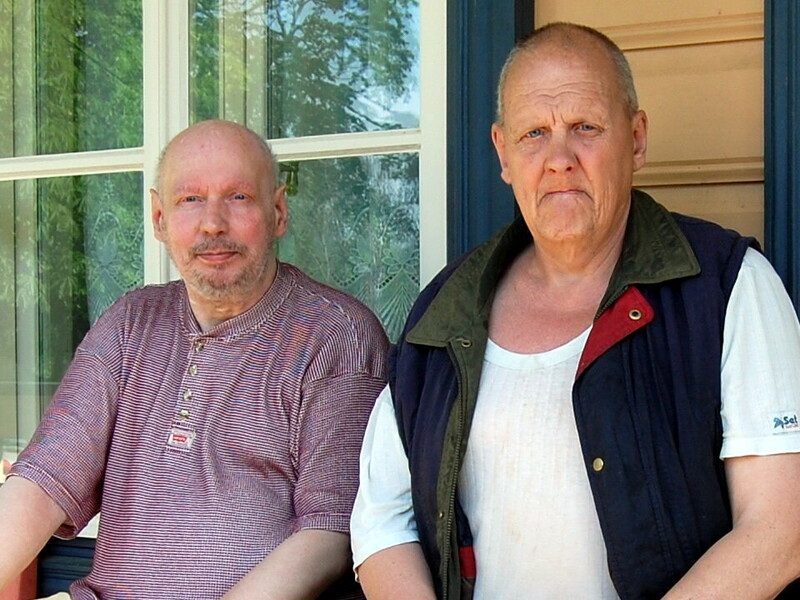 What it is like to grow older in Estonia, or Poland, or Romania. And when I think of the things I want to know and of drawing and and I see one thing: COMPLEXITY. – THE question to ask – I really like the drawing part! – or any other thing that may help me on my quest? And, however sometimes quite apt or at least well-meant, I am not looking for Just Do It advices – I am quite fainthearted on this matter so I want to start well prepared. Ha. I hope to read your reactions in Turku, Finland, tomorrow night, after an 11+1 hour boat trip. Hej så länge! I finished my Vipassana meditation course on the 27th of April. 10 Days of learning one of India’s most ancient techniques of meditation. The silence was easy. Quite nice, even. Keeping my mouth shut for 9 days -the 10th day is for noble speaking- appeared to be a piece of cake. Sitting cross legged for 10 hours a day, 10 days in a row: somehow quite doable. Waking up at 4: pretty easy. Not eating anything but a banana after noon: no worries. In fact, the whole Vipassana code of discipline felt really friendly while keeping to it. Meditating for 10 hours a day was a whooole other story, for me though. It was really hard work. It was tough. It was frustrating, and constantly turning frustration into acceptance was tough too. It was trying over and over again to be kind to myself, and to get back to work. It was telling my head every single minute NOT to wander away, while it was already halfway to lostinspace. It was not opening my eyes to see who in the room was having trouble concentrating too. It was definitely not starting to conduct Mozart in silence at 2.45 pm on day 8 because I was a bit bored. It was trying not to be bored at all, because boredom is no neighbor to focus and concentration. Was it worth it? Yes it was, it definitely was. I watched the Swedish spring burst into a big bang of green and light and chattering lovebirds, like I’d never seen spring before. I practiced my skills to focus and self-concentrate. I learned a proper meditation technique I can turn to at any time. I enjoyed all thoughts that passed during these 10 silent days, for 99% were great ones about (un)important things in life. I enjoyed the silent company of some really nice co-meditators, like Elena, who sat next to me on the bench in the forest every day at 5.15 pm, and Sanneke from Oslo meets Geldrop, and Miia, who I will visit in Helsinki next week. This is a beginning of the story about the What of my travels. 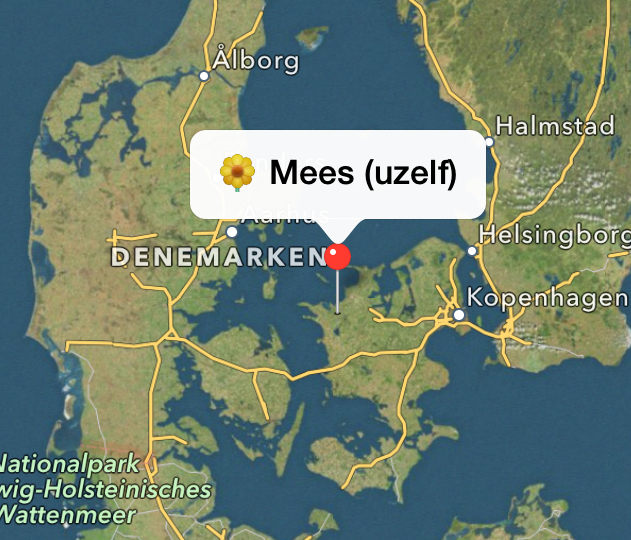 I was on my way to Sweden, passing through Denmark where I met a few very nice, kind and warm hearted elderly. Well, errr, this were people of 65 and 67 and not not by the hair of my chinny chin chin would I ever (or at least not yet) dare to call them old. I met these cheerful people after I’d send them a request to surf their couch*. It was Birte from Sønderborg in South Denmark, and Maja and Erling who live at a very nice house near the village of Æskebjærg, on the Island Sjælland (ok to be honest, I think it is simply Eskjeberg). The thought had occurred to me that I could interview people I would stay at. I had been preparing the stays by writing a list of topics and questions growing older that we could discuss. Maybe. If it wouldn’t seem to intrusive or unnatural in the talks we would have. I had quite a long list, with factual questions about family, mobility, spare time, work, politics, shopping, travelling, housing and food. Pretty practical questions, that turn out to be very obvious when you spend 3 days in someones house. No need to ask Birte -for instance- how she gets around, when she just showed me the surroundings in her car and talked proudly about her Couch Surfing Bikes, one for her, one for the surfers. Then there are also questions that belong more to the personal sphere. Questions about life. About the future, the good things and the fears of growing older. About things that did and did not work out in life. Important decisions that have been made. The question “How old do you feel?” and my favorite up to now: “Do you feel rich?” (Well, what would you say?). On the list are also the more social questions, that require deeper thinking about how growing old is perceived by others in society. How old do you have to be, to be considered old? How old does society want you to become? And what practical changes would ageing mean for your life as you know it? Until now, when visiting Birte, Maja and Erling, I didn’t do interviews in a strict sense. We walked, we talked, we ate, we talked, we drove through Denmark and we talked. I mostly asked questions, they talked, but not exclusively. Sometimes it felt a bit awkward asking a certain question, but since all three were prepared for an interview they were very happy to answer them. Maja thanked me for asking these questions, for being interested, saying that the questions made them think and discuss the topic of growing older too. If this should be the outcome of my travels, that I’ve made people think and talk about it together, then I would be a happy camper. Err, surfer. – People generally like to share thoughts about their life. If you are respectful, there is no need for awkwardness. – The age of 60-70 brings a lot of changes to life. I think I might stick to looking for these seniors throughout my travels. In 10 minutes I leave for a 10 days silence meditation course in Ödeshög, 1 hour north from where I am now. There will be no couches to surf, no questions to ask others but myself, no road to trip… I’ll be back in May. Happy easter, fijn pasen, glad påsk! *Couch Surfing is a world wide hospitality network where people offer their couch (or guest room, or even sometimes their garden or simply a nice meal). It is about meeting people from different cultures and sharing experiences. It’s midday, April 3rd and I’ve been officially on the road for 2 days and a bit. Sitting on the sunny Hamburgian balcony of my good friend Ruud, I suppose it is time for a first real update. This blog will not be a travel journal, nor a full coverage of everything and everyone I encounter. It will be a reflection of my thoughts and things that make me wonder, people that amaze me or in any other way make me feel like writing about. I think I should start with sharing the Why. Why do I want to make this trip? An why am I looking for stories about ageing? Am I so preoccupied with growing old that I want to know all about it? Nah, not really. In fact, I am simply fascinated by the fact that we age, and what ageing means to peoples lives. This curiosity was formed when I started a working in the elderly care during my studies more than ten years ago. When I started working as an editor, I missed my student job. Being around elderly people who have so many interesting stories to share -and often no one to share them with- made me happy. That is when I decided to become a volunteer for the local Zonnebloem group, a volunteer organisation with more than 40.000 volunteers and over 70.000 ‘guests’, as we call the people we volunteer for. For over the last 8 years I’ve spent many hours visiting my ‘Sunflower granny’s’. I started reading about ageing. Books and studies on Gerontology, the noble studies of the social, psychological and biological aspects of aging. I’ve been thinking about the changing reality of ageing in our society, where one used to be old at 55, while nowadays people start a brand new active life when retiring at 65. When and why did it change? 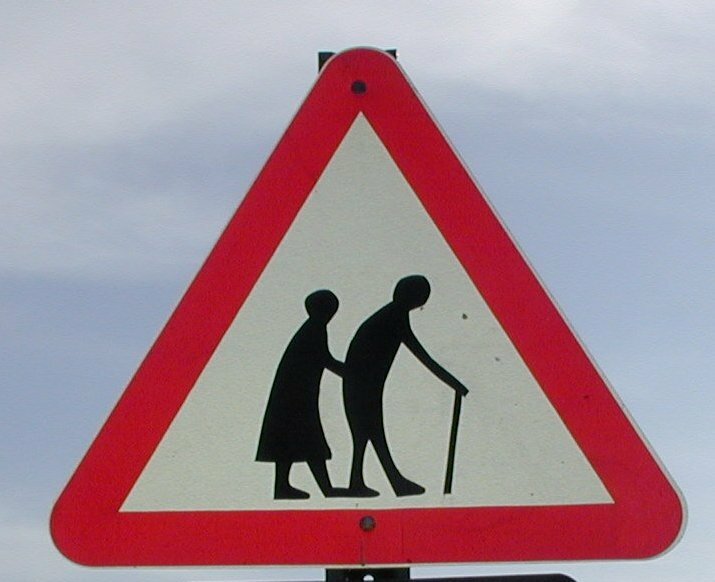 And why do we all want to grow old, but are we so averse to the physical and psychological signs that come with it? So when in March 2013 I quite unexpectedly won the Heineken Insights Challenge, where I had entered my ideas about the 60+ generation, my thoughts grew upon this Europe trip I had wanted to make for years. Why not? And why not combine it with a personal research on growing old in Europe? On September 11 2013 (always remember the important dates!) I decided the time had come to say adieu to my job at MVO Nederland when spring would arrive, and to begin preparing my tour d’Europe. I started with a 3 months plan, but my mother, listening to my itinerary, quickly shifted that into 6. Where would I be without her. Now my car is fully packed. My job is left to someone else. The cat is safely lodged. I kissed my love goodbye. The first étappe lead me to my good friend Floor and her parents in peaceful Veeningen, where I got a very necessary long night of sleep after all the farewell-partying. Veeningen-Hamburg was a good first longer leg and Saturday I will be heading for Sønderborg in Denmark. There you go, a little travel itinerary after all! Time to start exploring Hamburg and think more about the What of this trip. I will surely tell you more about that soon! I’ve been thinking about whether I should write in English or Dutch, and I am not yet convinced of either one. But since the international character of this trip, I decided to write my first post in English. And such a long one! This will not, I promise, become tradition. My rough plans. About 16000 km. Joy! Op 2 Februari 2014 zond VPRO Tegenlicht de uitzending “Het Grijze Goud” uit. Ook ik mocht er iets in vertellen : ) Klikt u maar!